Melt the milk chocolate and brush it onto your first silicone cake mould, cover it all with a thin layer of the chocolate, then place in the fridge for 5 minutes so it sets. Repeat this process until you have a thick enough layer of chocolate so when you peal it away from the silicone mould it is strong enough not to break. Then do the same with the smaller mould. Once you have done both and removed them from the moulds, leave them in the fridge. Melt the white chocolate and then place an equal amount into four bowls. Add a drop or two of the food colouring to each bowl to make your four different colours of white chocolate. Remove the milk chocolate from the fridge and using a little melted milk chocolate “glue” the smaller one onto of the larger one. Using tea spoons, drizzle the coloured white chocolate over the moulded milk chocolate. 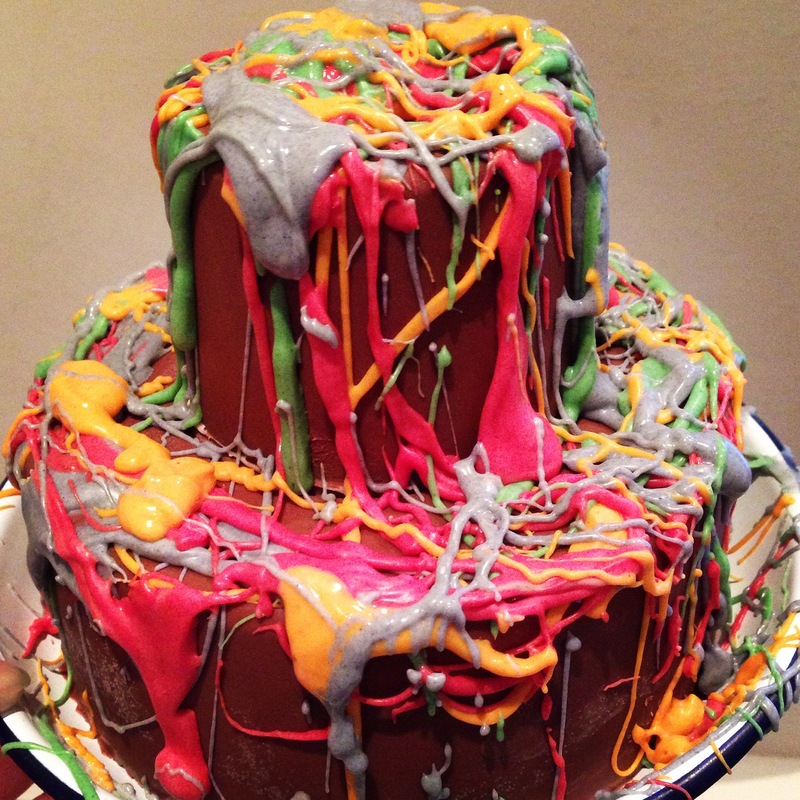 Just go crazy and you should end up with a beautiful multicoloured edible masterpiece.